At Pureology, it is our mission to provide the professional hair colourist and their clients the highest quality colour care products that enhance radiance, dramatically improve hair condition, and respect the environment while delivering longer lasting hair colour guaranteed. 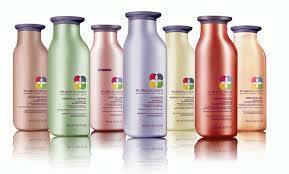 Created especially for professional colourists and their clients, Pureology is a salon hair care brand unlike any other. Our highly concentrated ZeroSulfate® shampoos and the exclusive AntiFadeComplex® help colour-treated hair retain its fresh-from-the-salon vibrancy with every use, while our 100% Vegan, Dual Benefit Formulas provide custom care for every hair type.